Today, at the joint sitting of the chambers, the Parliament of Kazakhstan has adopted a decision to rename the capital of the country Astana as Nursultan, AzVision.az reports citing Kazinform. "We have just conceptually approved this draft law. No remarks were submitted. I suggest approving this draft law. Please, vote. The decision has been adopted," said Chairman of the Majilis Nurlan Nigmatulin. 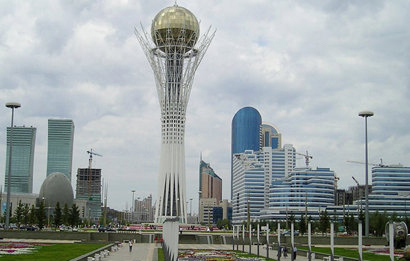 At the instruction of President Qasym-Jomart Tokayev, it was decided to rename the capital without a referendum. Astana has been officially renamed as Nursultan.